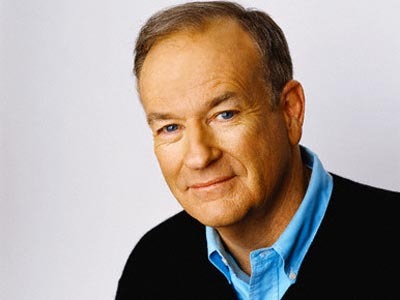 In Bill O’Reilly’s book, Who’s looking out for you? he talked about the importance of surrounding yourself with good friends and purging bad ones. This really struck a chord with me. Most of my youth was spent at billiard halls learning the game, but also learning what I didn’t want to be in life by observing the many patrons, a good portion of whom were rarely sober. What I learned was that drunken people make dumb decisions, including but not limited to playing people like me for money when they’re drunk. As a result of watching this phenomenon, I’m basically a teetotaler. It’s not because I’ve been negatively affected in my life by alcoholism, it’s just a result of my analytical mind, coupled with my fascination with human behavior. As I observe, I learn from everyone. Many people only watch those who inspire them, so they can emulate accordingly, but I think they are missing half of life’s important lessons. You learn a lot from the people you do not admire—such as what not to do in life. We’ve all heard, “If you’re not aware of history, you’re doomed to repeat it.” If we learn from the failures of others, how are we to learn if we’re not watching? There are two types of bad friends: Those who are malicious sociopaths who will wrong you at the drop of a hat for personal gain; not feeling an ounce of regret for doing so. All of us generally eschew these people from our lives once we identify them. But there’s a bad friend of a lesser degree that many consider best friends—the misery-loves-company friend, such as the person that encourages you to go drinking when you’ve had a bad day. It would seem they’re a good friend because they generally care about whatever ails you. But I would submit to you that there has never been a person who was happy and successful that spent a significant amount of time getting drunk when life punches them in the gut, instead of dealing with the issue intelligently. On occasion, some otherwise happy people might do it, but usually it’s a sign of someone who has decided their life cannot nor will not get better—they’ve given up. Yes, a lot of rich and famous people who appear to be enjoying life are alcoholics and drug users, but many an autobiography has shown that they often feel like the only friends they have around them are people who simply use them for their fame and fortune. These aren’t friends; they are a cancer feeding off of the host. As long as the host is alive, they can continue to feed. But make no mistake, they are killing the host inside every day of their supremely selfish existence. Not to mention, many a rich and famous star ends up penniless and bankrupt via the partying lifestyle. Good friends will rejoice at your success. No matter how bad they may be feeling, they will avoid reflecting that negativity onto you. They don’t want to bring you down to their level; they prefer to elevate themselves to yours. Good successful friends will tell you what you need to hear regardless of what you want to hear and won’t encourage you to exacerbate your problems with bad behavior such as drinking or drugs. They are the definition of unselfish as they risk upsetting you by caring enough to be honest. To be clear, there is a fine line between being honest in a caring way, and being a jerk. Think, “I don’t really like that haircut on you” versus, “Whoa, did you lose a f***ing bet?” People who are jerks, and defend it by saying, “well hey, at least I’m honest” are really just jerks; not the honest friends they claim to be, because their intention isn’t to offer constructive criticism, it’s just to knock you down to their level. If I have friends who are having a bad day, I usually ask if I can help solve the problem, or at least listen with empathy, not encourage them to drink their problems away. It may seem that they mean well by giving caution, but these people are miserable people who instead of being happy for you, are jealous and apparently derive some sick pleasure from planting the seed of doubt in your success. Instead of making themselves feel better through hard work, they are doing so at your expense. Simply put, no good person will consider any behavior that knocks someone down in any way as proper and ethical behavior. I think most of you will understand and agree with this but are wondering what this has to do with politics? Well, I ask that you remember this when confronted with someone who wants to tax the rich to give to the poor. The idea that knocking down the successful to the level of the poor, as economic policy, is not, nor has ever been an effective method to a greater economy. Economies grow by the unsuccessful being left behind until they’re sufficiently motivated to catch up. If government doesn’t stand in their way during this journey by over-regulating, or increasing their tax burden progressively, they can achieve that success.